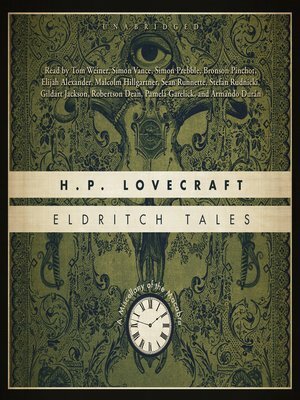 The only audio edition of Eldritch Tales authorized by the H. P. Lovecraft Estate! Gathering together in chronological order the rest of Lovecraft's rarely seen but extraordinary short fiction, this collection includes the entirety of the long-out-of-print collection of thirty-six sonnets "Fungi from Yuggoth." Lovecraft died at the age of forty-seven, but in his short life he turned out dozens of stories that changed the face of horror. His extraordinary imagination spawned both the Elder God Cthulhu and his eldritch cohorts, as well as the strangely compelling town of Innsmouth, all of which feature here.